OPenn contains complete sets of high-resolution archival images of cultural heritage material from the collections of its contributing institutions, along with machine-readable descriptive and technical metadata. All materials on OPenn are in the public domain or released under Creative Commons licenses as Free Cultural Works. This handlist (PDF format) provides quick reference to all of the manuscripts in the Schoenberg Collection. Each item is listed with its LJS number. Items marked with an * appear in the exhibition A Legacy Inscribed: The Schoenberg Collection of Manuscripts. Transformation of Knowledge is a catalog of early manuscripts from the Schoenberg Manuscript Collection. Published in 2006, it is edited by Crofton Black with a preface by Christopher de Hamel. It includes images and texutal descriptions of over 250 works from the Schoenberg Collection. 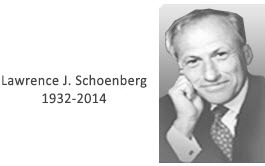 This is the online version of the 2013 exhibition of Schoenberg manuscripts that was curated by Lynn Ransom and took place in the Goldstein Family Gallery of the Kislak Center for Special Collections, Rare Books and Manuscripts.